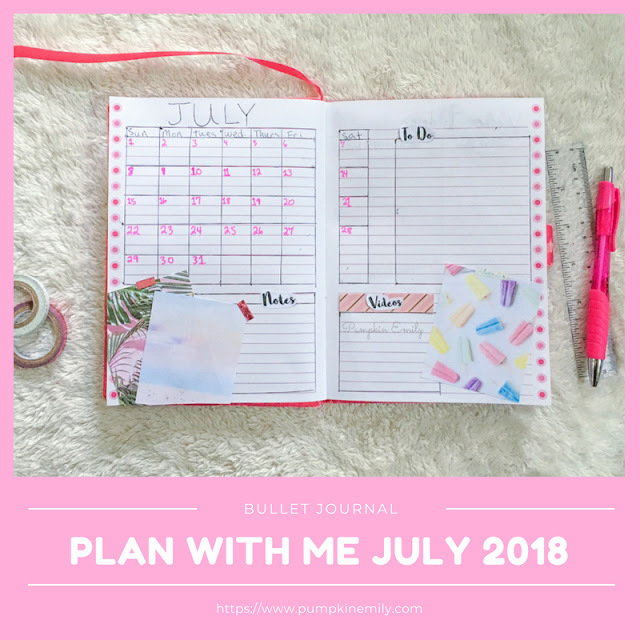 I'm going to show you my July bullet journal setup. 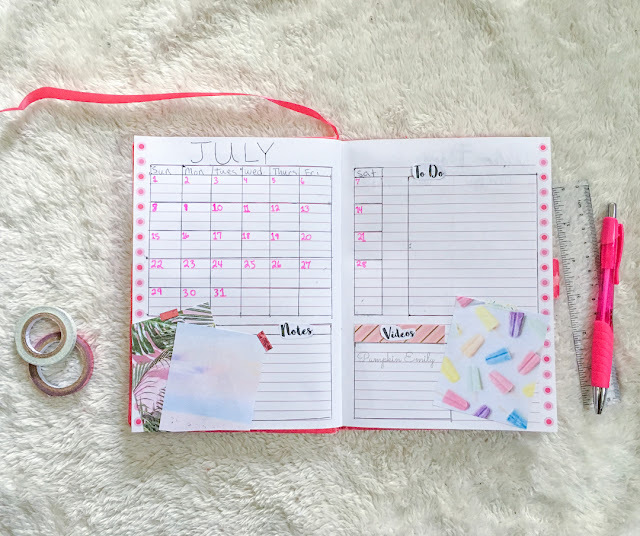 For this July plan with me I decided to go for a summer theme with the colors pink and with a bunch of different pastel colors like purple and yellow. 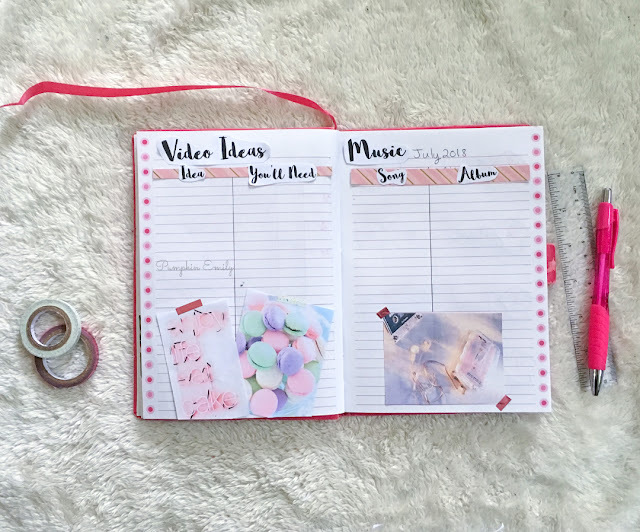 I made a cover page, a calendar page, a page where I can write down my favorite songs and video ideas, and a weekly spread for this months bullet journal layout. 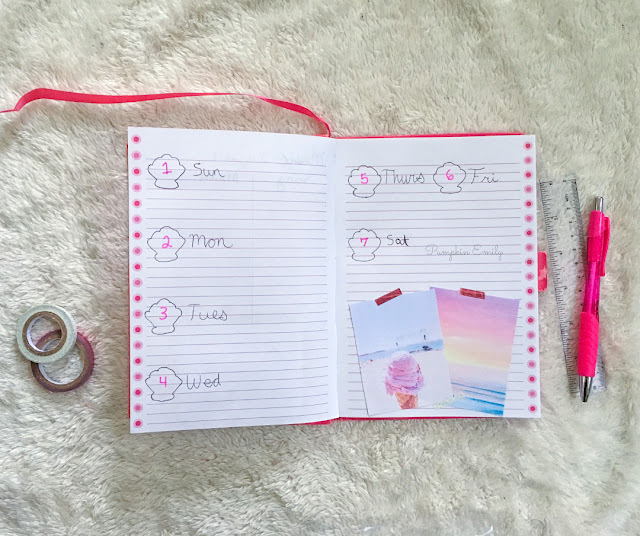 I found some pictures on Pinterest and I added them to my bullet journal. I didn't like the way I wrote the words so I printed some words out onto paper. Then I cut around each word and glued them over the words I didn't like. 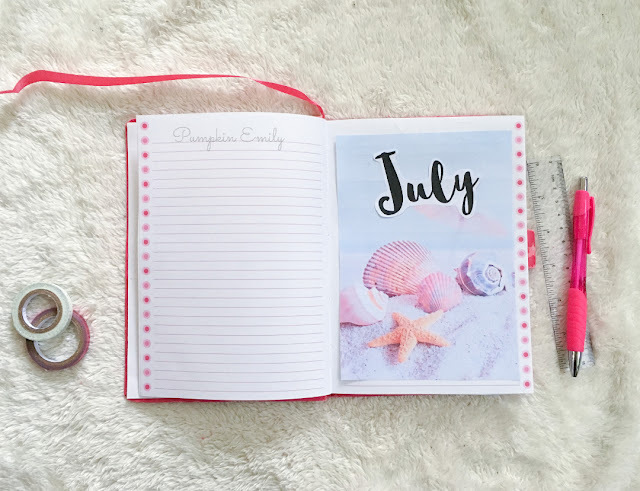 What theme should I do for August? Let me know in the the comments down below!